Something remarkable is happening the world of mainstream superhero comics this week. And one of the best and most remarkable things about it is that no one seems to think it’s remarkable. 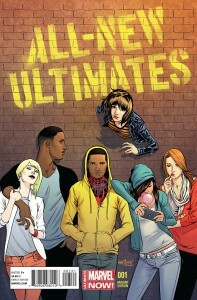 I’m talking about All-New Ultimates, Marvel’s new Ultimate Universe team book written by Michel Fiffe, with art by Brazilian newcomer Amilcar Pinna. 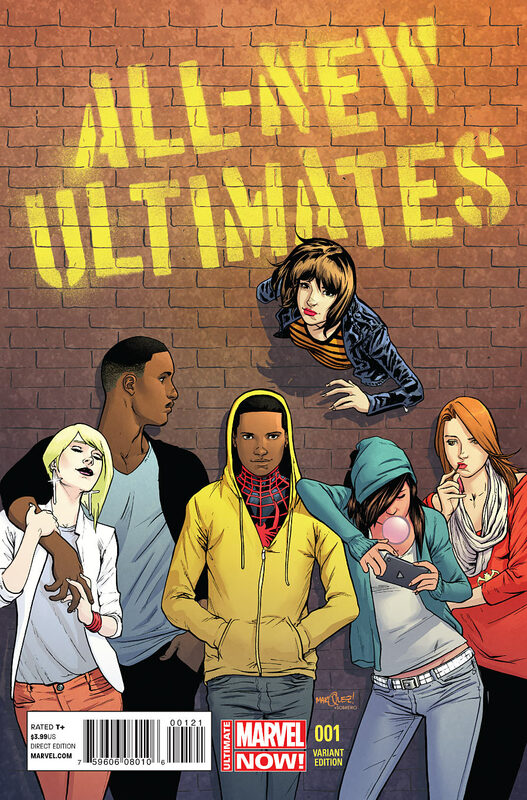 A spinoff of both the long-running Ultimate Spider-Man title and the recent Cataclysm event crossover, what makes All-New Ultimates remarkable in my book is the makeup of its titular team: Four women (Black Widow, Bombshell, Dagger, and Kitty Pryde) and two black men (Cloak and Spider-Man). As near as I’ve been able to discover in my research, that makes this the first superhero team starring in a book by a major mainstream publisher without a white male in it. Let me be clear: I’m not advocating the exclusion of white males from superhero teams. What I’m applauding is this concrete evidence that a white male is not a requirement for having a superhero team. That’s a big step in terms of representation and diversity in superhero comics, but making it even niftier is that no one seems to be making a big deal about it.